A Town of Normal garbage and recycling bin on pickup day. The executive director of the Ecology Action Center (EAC), Michael Brown, said during GLT's Sound Ideas that a new 20-year solid waste plan for the county would address that issue, along with many others. McLean County's waste will end up in the Pontiac Landfill when the county's landfill closes next year. The EAC developed the new solid waste plan for McLean County over the past two years with stakeholders and public input. The current plan dates back to 1991. The new plan could be in effect through 2037 and works, in part, to reduce solid waste costs and increase the lifespan of the landfill that McLean County would use in the future. 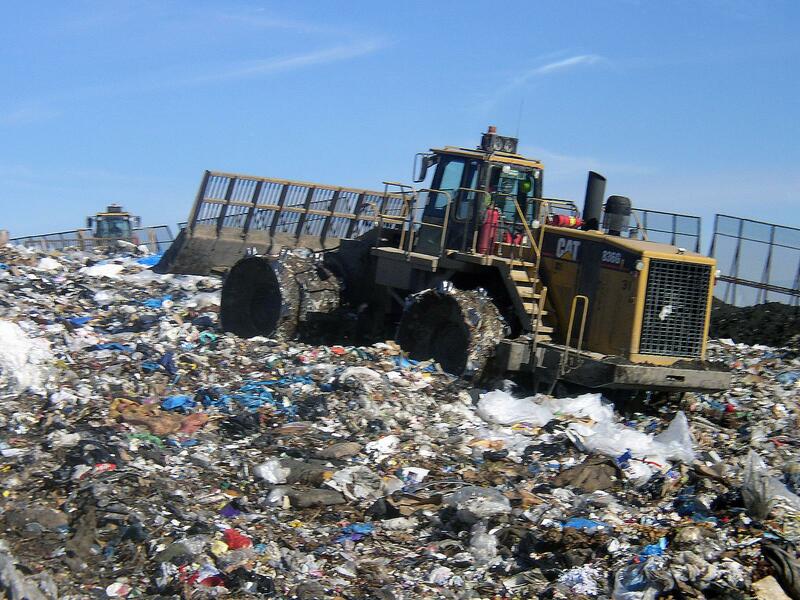 The current landfill in rural Bloomington is projected to close in early 2018. McLean County waste would then be trucked to the Pontiac Landfill in Livingston County. 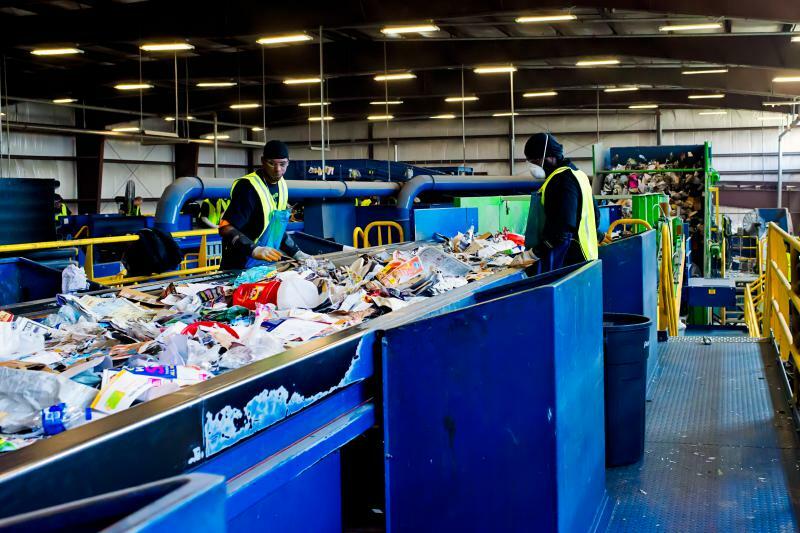 Brown said the plan calls for a pilot program before 2022 that would provide recycling services based on "geographically dense areas," or areas where there is a preponderance of apartment complexes. The contract with the waste hauler could be negotiated by the EAC. "The more geographically dense route makes it more cost effective for the waste hauler," said Brown. "They're able to gather more volume of materials in a shorter amount of time, less fuel, less labor, less wear and tear on the vehicles." But if there are difficulties executing the pilot program, an ordinance could be added, according to Brown. "Say that pilot program works, but maybe the volume of materials is still not sufficient to make it terribly cost effective to keep it cost neutral. 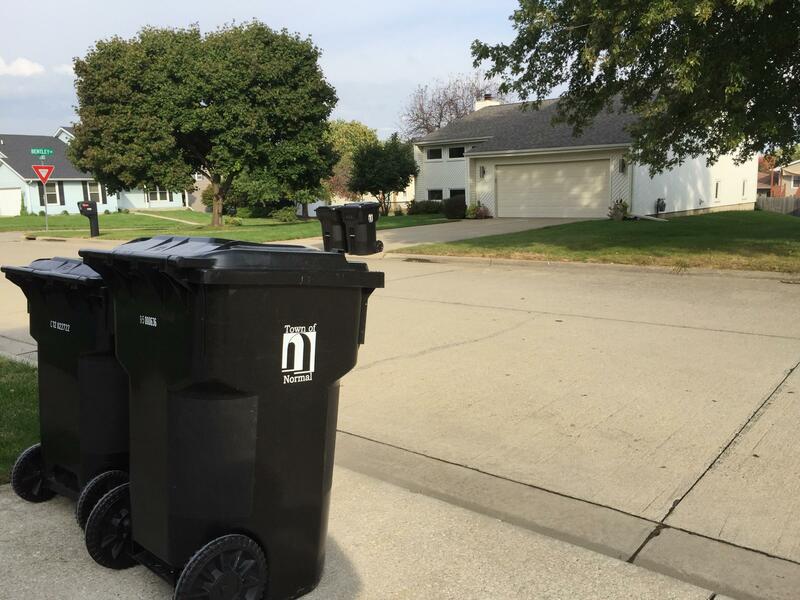 We can gain that volume and route density and enough participation and get those variables up through an ordinance that requires recycling to be provided by rental companies," said Brown. 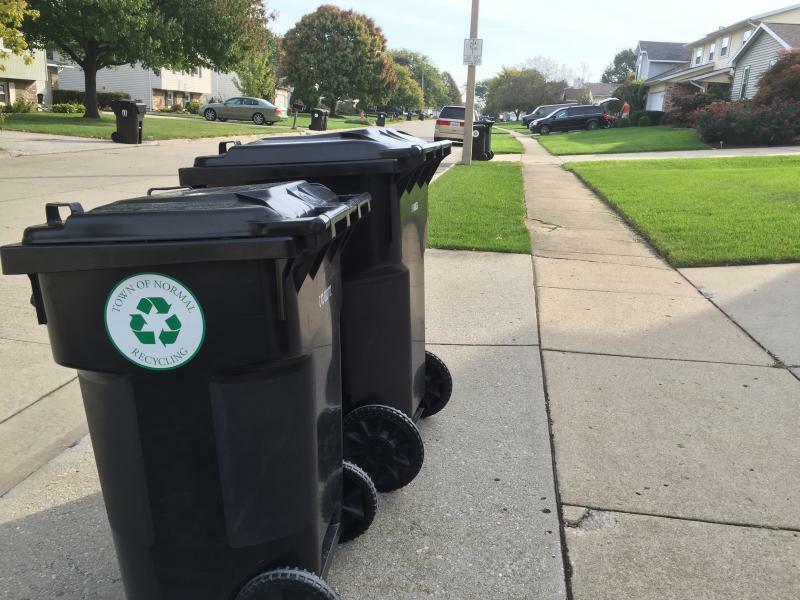 The plan proposes a pilot program for commercial recycling, as well. However, the plan calls for a recycling ordinance that only covers construction and demolition (C and D) waste. Brown said a pilot project would be difficult to implement because key elements that make make it cost effective for apartment complexes and commercial recycling are missing from C and D waste. "As far as route densification and volume increase to make it cost effective, those aren't things we can change through voluntary measures for the C and D recycling. C and D materials are intermittent and come from all over, so we can't densify that route. Volume, however, is something we can increase through an ordinance. Bringing the volume up could potentially bring the cost down," said Brown. The plan takes into account that the McLean County Landfill will close next year and that solid waste removal can grow expensive. "In all the strategies, we haven't really talked about the environment. That isn't the driving factor here. What we're looking at is economic sustainability of our waste management practices," said Brown. "That is really the underlying value of this plan. How do we manage this cost effectively over the next 20 years, given that we don't have a local option anymore?" The new plan is being considered by the McLean County Land Use committee, which is holding a public hearing Thursday, Dec. 7. A public comment period is open until Jan. 4. The City of Bloomington and Town of Normal Councils are also expected to vote on the plan. A solid waste plan is required by state statute. McLean County's future solid waste plan could include provisions that would divert up to 74 percent of items and materials being landfilled today.